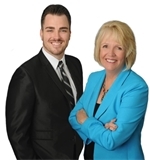 La Habra is the perfect community for Southern California home buyers. This community offers the best of all worlds. Located at the northern corner of Orange County, this city offers a tight knit community feel near all of the amenities of the Los Angeles metropolitan area. With a beautiful climate year round, the people of La Habra enjoy ample time outside. Great community parks and close proximity to beaches and mountains ensure endless things to do outdoors year round. La Habra has a wide variety of housing options, excellent local schools, fun community events, and plentiful dining, shopping, and entertainment facilities, making it the perfect spot for families in the area. 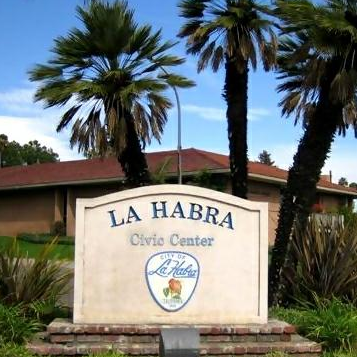 Come discover why La Habra lives up to its motto of “A Caring Community”! If you are looking for a life of fun in the California sun, La Habra has great recreational facilities that can be enjoyed all year round! There are over 20 Parks located within the city limits. These beautifully maintained small neighborhood parks and larger community parks offer a wide range of amenities for families to utilize. With athletic courts and fields, hiking and biking trails, undeveloped natural areas, picnic spots, playgrounds, and more, there is much to do in La Habra’s parks. Two of the favorite parks in the community are La Bonita Park (1440 West Whittier Boulevard) and Portola Park (301 South Euclid Street). La Bonita Park covers 22.6 acres and includes 4 lighted softball fields, roller hockey facility, skate park, playgrounds, and the Boys and Girls Club. 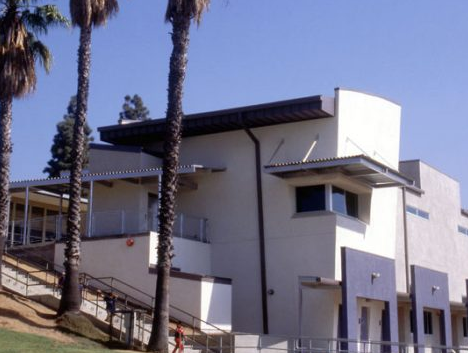 Portola Park is home to many popular facilities within its 10 acres, including the Children’s Museum, Depot Theatre, and La Habra Tennis Center. 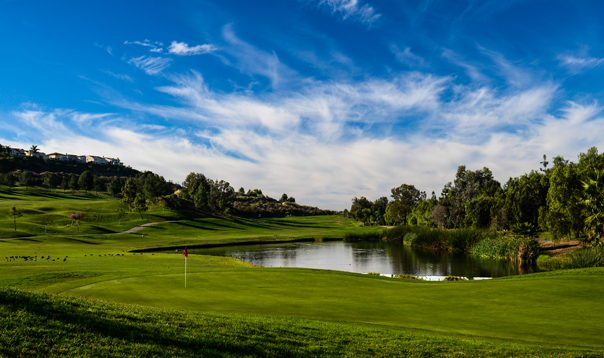 Residents who like to tee off enjoy spending time at Westridge Golf Club (1400 South La Habra Hills Lane). This beautifully designed golf club features a par-72 course, practice facilities, pro shop, and patio area. Students in La Habra are educated through three local public school districts. La Habra City School District operates 9 schools for students in kindergarten through 8th grade. All of the schools within the district have been named Title I Achieving Schools and several of them have achieved other state and national awards for their academic excellence. The schools in this district include Arbolita Elementary (1001 East Brookdale Avenue), El Cerrito Elementary (1051 North Hillside Street), Ladera Palma Elementary (2151 East Brookdale Avenue), Las Lomas Elementary (301 West Las Lomas Drive), Las Positas Elementary (1400 South Schoolwood Drive), Sierra Vista Elementary (1800 East Whittier Boulevard), Walnut Elementary (625 North Walnut Street), Imperial Middle School (1450 South Schoolwood Drive), and Washington Middle School (716 East La Habra Boulevard). Lowell Joint School District serves students in La Habra, La Habra Heights, and Whittier. There are 3 K-6 grade district schools located within La Habra, including El Portal Elementary (200 North Nada Street), Macy Elementary (2301 West Russell Street), and Olita Elementary (950 South Briercliff Drive). All three of these schools have received the California Distinguished School Award. La Habra students in grades 9th through 12th are educated through Fullerton Joint Union High School District. They attend either La Habra High School (801 West Highlander Avenue) or Sonora High School (401 South Palm Street). There are also several private educational institutions in La Habra. These include Our Lady of Guadalupe Catholic School (920 West La Habra Boulevard) for students in kindergarten through 8th and Whittier Christian High School (501 North Beach Boulevard), a nondenominational Christian academy for students in 9th through 12th. La Habra residents have access to many excellent medical facilities located throughout the area. There are several primary care practices and urgent care facilities, such as MedPost Urgent Care (1040 West Imperial Highway), within La Habra. St. Jude Medical Center (101 East Valencia Mesa Drive, Fullerton) and Whittier Hospital Medical Center (9080 Colima Road, Whittier) are both award winning comprehensive hospitals near La Habra. These two hospitals offer 24 hour emergency care as well as full inpatient and outpatient services. Traveling throughout the Los Angeles metropolitan area and beyond is a breeze thanks to the extensive transportation network in and near La Habra. Interstates 5 and 605 can be reached from La Habra via California State Routes 39 and 72, respectively. These interstates ensure commuters access to Los Angeles and other Orange County communities. There are numerous airports located within 30 miles of La Habra for residents needing to travel domestically or internationally. Close airports include John Wayne Airport (18601 Airport Way, Santa Ana) and Los Angeles International Airport (1 World Way, Los Angeles).